As September approaches, we are reminded that the anniversary of the tragic events of 9/11 will soon be upon us once again. 11 years later, are we any closer to the truth about what really happened on that fateful day? For the next month until September 11, 2012, we will be posting on a daily basis important articles from our early archives pertaining to the tragic events of 9/11. The following text by Mark Elsis challenges the report of NORAD regarding the “response” of the US Air Force on the morning of 19/11. With a minute-by-minute chronology from 7:59 a.m. till 10:06:05 a.m., this article will dismantle the Wednesday September 18, 2001 North American Aerospace Defense Command (NORAD) Press Release. This press release encompasses the (supposed) response times of the United States Air Force on Tuesday, September 11, 2001. This article will explain to you exactly what happened for the almost one hour and fifty-three minutes that elapsed between the time American Airlines Flight 11 lost voice contact with air traffic control and was hijacked at 8:13:31, till the time United Airlines Flight 93 crashed in Shanksville, Pennsylvania at 10:06:05. Also, when reading this article, please keep in mind the following five very significant pieces of information. 1) The United States Government will spend more on the military in fiscal year 2003, than all the rest of the countries on Earth combined. Current expenditures are 437 billion and our past obligations are 339 billion, this equals 776 billion. 46% of our Taxes go to the Military Industrial Complex: http://www.warresisters.org/piechart.htm This figure doesn’t even begin to account for all of the off-budget, black projects, homeland security nor the 40+ billion the United States Government will spend on intelligence in 2003. 2) The United States Air Force (USAF) is the most technologically advanced, and the most dominate military force ever known to man. There were seven Air Stations that were armed and on full alert to protect the continental United States on Tuesday September 11, 2001. The Air National Guard exclusively performs the air sovereignty mission in the continental United States, and those units fall under the control of the 1st Air Force based at Tyndall Air Force Base (AFB) in Panama City, Florida. The Air National Guard maintains seven alert sites with 14 fully armed fighters and pilots on call around the clock. Besides Tyndall AFB, alert birds also sit armed and ready at; Homestead Air Reserve Base (ARB), Homestead, Florida; Langley AFB, Hampton, Virginia; Otis Air National Guard (ANG), Falmouth, Massachusetts; Oregon ANG, Portland, Oregon; March ARB, Riverside, CA; and Ellington ANG, Houston, Texas. There were at least 28 other USAF bases that were in range of the 4 airliners on 911. The following link lists the 7 bases on full alert and the 28 that were within range. 4) NORAD is a binational United States and Canadian organization charged with warning of attack against North America whether by aircraft, missiles, or space vehicles, utilizing mutual support arrangements with other commands. Aerospace control includes providing surveillance and control of Canadian and United States airspace. The job of NORAD is to know every inch of the skies over North America. 1. To end a state of readiness or alert. 2. To go off duty. 3. To withdraw, as from a political contest. 7:59 a.m.: American Airlines Flight 11 a Boeing 767-223ER with a maximum capacity of 181 passengers and 23,980 gallons of fuel, lifts off from Logan International Airport in Boston, Massachusetts, bound for Los Angeles International Airport in Los Angeles, California. Take-off was scheduled for 7:45. There are supposed to be 92 victims on board American Airlines Flight 11, yet when you add up the official death manifest list that was published on CNN.com, there are only 86 victims. Go to: http://www.AttackOnAmerica.net — Click on Evidence — Scroll down till you see: AA11 Passenger List, UA 175 Passenger List, AA 77 Passenger List and UA 93 Passenger List. Click on any of these four links and count the number of passengers listed for yourself. The 4 airliners used on September 11th, 2 Boeing 767’s and 2 Boeing 757’s had a total passenger seating capacity of 762 people. How could these four flights possibly be only between 30.1% (229 passengers and crew) to 34.7% (265 passengers and crew) occupied? How could all four of these flights added together possibly be more than 65% empty? 8:01 a.m.: United Airlines Flight 93 a Boeing 757-222 with a maximum capacity of 200 passengers and 11,489 gallons of fuel, rolls from the gate in Newark International Airport, Newark, New Jersey with 44 people aboard bound for San Francisco International Airport, San Francisco, California. United Airlines Flight 93 will sit on the ground for 41 minutes before taking off. There are supposed to be 44 victims on board, yet when you add up the official death manifest list that was published on CNN.com, there are only 33 victims. 8:13:31 a.m.: American Airlines Flight 11 last transmission from Boston Air Traffic Control: AAL11 turn 20 degrees right American Airlines Flight 11 responds: 20 right AAL11. A few seconds later the Controller asks: AAL11 now climb maintain FL350 [35,000 feet] Controller: AAL11 climb maintain FL350 Controller: AAL11 Boston. There is no response from American Airlines Flight 11. 8:14 to 8:20 a.m.: American Airlines Flight 11 goes off course and is hijacked. 8:14 a.m.: United Airlines Flight 175 a Boeing 767-222 with a maximum capacity of 181 passengers and 23,980 gallons of fuel, lifts off from Logan International Airport in Boston, Massachusetts, bound for Los Angeles International Airport in Los Angeles, California. Take-off was scheduled for 7:58. There are supposed to be 65 victims on board, yet when you add up the official death manifest list that was published on CNN.com, there are only 56 victims. 8:17 a.m.: After 3 minutes and 30 seconds of lost voice contact with American Airlines Flight 11, the FAA should have started to implemented Standard Intercept Procedures. 8:20 a.m.: American Airlines Flight 11 transponder signal stops transmitting Identification, Friend or Foe (IFF) beacon signal. If a pilot loses their transponder the air traffic controllers (ATC) console immediately alerts him to this fact since he no longer has the transponder code and altitude. This causes the controllers a great deal of trouble, especially in the busiest airspace on earth, the northeastern corridor. After 6 minutes and 30 seconds of lost voice contact, and now with the transponder signal stopped on American Airlines Flight 11, there is no excuse left, the FAA should have started to implement Standard Intercept Procedures. They did for the late great golfer Payne Stewart, after only a few minutes of lost voice contact from his Lear jet. Why not now? Or did the FAA implement Standard Intercept Procedures and tell NORAD between 8:14 to 8:20? Did NORAD then sit on (Stand Down) this information for 26 to 32 minutes – till they finally tell 102nd Fighter Wing of the Otis Air National Guard Base in Falmouth, Massachusetts to scramble at 8:46? Somewhere between 8:13:31 and 8:20 American Airlines Flight 11 has been hijacked, and by 8:20 its transponder also is turned off, and NORAD doesn’t order Otis to scramble till 8:46. 8:20 a.m.: American Airlines Flight 77 a Boeing 757-223 with a maximum capacity of 200 passengers and 11,489 gallons of fuel, lifts off from Dulles International Airport about 30 miles west of Washington D.C. and the Pentagon, bound for Los Angeles International Airport in Los Angeles, California. Take-off was scheduled for 8:01. There are supposed to be 64 victims on board, yet when you add up the official death manifest list that was published on CNN.com, there are only 56 victims. 8:25 a.m.: Boston ATC notified several air traffic control centers that a hijack is in progress with American Airlines Flight 11. Boston air traffic control first lost communication with American Airlines Flight 11 more than 11 minutes ago. What took them so long to start to implement procedure? Why didn’t they also notify North American Aerospace Defense Command (NORAD) at this time? Or did they? If they did follow procedure and notify NORAD at 8:25 and NORAD followed protocol and ordered the 102nd Fighter Wing of the Otis Air National Guard Base in Falmouth, Massachusetts to scramble at say 8:26 – two F-15’s would have been airborne by no later than 8:32 – these F-15’s would have had at least 14 minutes and 26 seconds to reach the WTC before American Airlines Flight 11 impacts the north side of the North Tower (1 World Trade Center) at 8:46:26. If these two F-15’s were flying at top speed, 14 minutes and 26 seconds is exactly twice the amount of time needed to reach the WTC. These two F-15’s could have been at the WTC in just over 7 minutes, or as early as 8:39. Even a spokesperson for Otis said that their F-15’s could reach the WTC in 10 to 12 minutes, which would have them there at 8:42 to 8:44. These two F-15’s could have easily intercepted American Airlines Flight 11. If only Boston ATC, which notified several air traffic control centers that a hijack is in progress with American Airlines Flight 11 at 8:25, had also notified NORAD. Why didn’t they? Or did they follow procedure, and notify NORAD, and NORAD is lying about it. Let me state that it is NORAD’s job to know every inch of the skies over North America, so they must have known that American Airlines Flight 11 was hijacked somewhere between 8:14 and 8:20. 8:26 a.m.: American Airlines Flight 11 is heading westnorthwest, its location is between Albany and Lake George, New York, when it suddenly makes a 100 degree turn to the south and starts heading directly toward New York City. American Airlines Flight 11 finds the Hudson River and follows it all the way south till it impacts the north side of the North Tower of the WTC. 8:37 a.m.: Flight controllers ask the United Airlines Flight 175 pilots to look for the lost American Airlines Flight 11, about 10 miles to the south. They respond that they can see it. They are told to keep away from it. This incident is not included in The New York Times flight controller transcript. Why? 8:38 a.m.: Boston ATC notifies NORAD that American Airlines Flight 11 has been hijacked. 8:39 a.m. American Airlines Flight 11 flies directly over the number one terrorist target in the United States, Indian Point nuclear power stations. Indian Point has 3 nuclear power stations (1 is offline and the other 2 have been online since 1973 and 1976), which are only 24 miles north of New York City (and about 40 miles north of the WTC). If American Airlines Flight 11 hits Indian Point correctly in any of three different ways, they could have caused a meltdown and a release of vast amounts of radiation. There are also a cumulative 65 operating years worth of highly radioactive waste stored at Indian Point. Casualties could possibly be upwards of 20 million people prematurely dieing from radiation poisoning. The whole northeast corridor from New York City to Boston would instantly become a wasteland for thousands of years. Why did American Airlines Flight 11 jeopardize their mission by flying another 7 plus minutes (when they could and should have been intercepted by the USAF) down the Hudson River to hit the WTC between the 94th and 98th floors where they ended up “only” killing less than half of the 3,056 people that died, when they could have hit their enemies’ number one target? The mastermind behind these “terrorists” hijackers would have soon figured out their best and only shot against the strongest military foe in the world would have been to hit them first and hit them as hard as you can. Why didn’t they hit Indian Point? If the terrorists were targeting the WTC, don’t you think they would have waited until around 11:00 when these buildings were full with 50,000 plus people? And of course, to cause the most deaths and destruction isn’t it elementary to strike these buildings as low as possible, which would have been around the 30th floor? So, why did this well planned “terrorist” attack kill only 3,056 people when they could have easily killed ten times that many? This reasoning also goes along with the Pentagon attack. Why was the Pentagon hit on the so-called “peaceful” west side, which was mostly under construction as opposed to the command center east side of the Pentagon? If one plane didn’t do the job at Indian Point, two planes most definitely would have done the job. United Airlines Flight 175 also flew very close to Indian Point; it was literally within a couple of minutes flying time. If two planes didn’t do the job (one should and two will), a third plane, United Airlines Flight 93 a Boeing 757-222 will lift off in 3 minutes from Newark International Airport in Newark, New Jersey bound for San Francisco International Airport, San Francisco, California. Newark International Airport is within 10 minutes flying time of Indian Point. So three of these airliners could have hit Indian Point within about 13 minutes of each other, between 8:39 and 8:52, if they had wanted to. The whole northeast corridor from New York City to Boston would instantly become a wasteland for thousands of years. 8:40 a.m. Nasty and Duff are the code names of the two F-15 pilots from the 102nd Fighter Wing of the Otis Air National Guard Base in Falmouth, Massachusetts who would scramble after United Airlines Flight 175. Nasty says that at this time, a colleague tells him that a flight out of Boston has been hijacked, and to be on alert. They put on their flight gear and get ready. 8:40 a.m.: The Federal Aviation Administration (FAA) notifies NORAD that American Airlines Flight 11 has been hijacked. Even NORAD officially admitted that the FAA told them about the hijacking of American Airlines Flight 11 at 8:40. As mentioned earlier, American Airlines Flight 11 lost voice contact with ATC at 8:13:31 – so for 26 minutes and 29 seconds nothing has been done. American Airlines Flight 11 lost its transponder at 8:20 – so for 20 minutes nothing has been done. This doesn’t happen. OK, the FAA notifies NORAD that American Airlines Flight 11 has been hijacked – what does NORAD do? Do they immediately scramble the 102nd Fighter Wing of the Otis Air National Guard Base in Falmouth, Massachusetts? No they don’t, they sit on this most vital information. Stand Down. At 8:46 a.m. you will see what NORAD finally does with this critically vital information. 8:41:32 a.m.: United Airlines Flight 175 last communication with the New York ATC: We figured we’d wait to go to your center. We heard a suspicious transmission on our departure from BOS [Boston] sounds like someone keyed the mike and said everyone stay in your seats. 8:42 a.m.: United Airlines Flight 93 a Boeing 757-222 with a maximum capacity of 200 passengers and 11,489 gallons of fuel, lifts off from Newark International Airport in Newark, New Jersey bound for San Francisco International Airport, San Francisco, California. Take-off was scheduled for 8:01. There are supposed to be 44 victims on board, yet when you add up the official death manifest list that was published on CNN.com, there are only 33 victims. 8:42 a.m.: An air traffic controller says of United Airlines Flight 175, looks like he’s heading southbound but there’s no transponder no nothing and no one’s talking to him. 8:43 a.m.: The FAA notifies NORAD that United Airlines Flight 175 has been hijacked. NORAD has officially admitted that the FAA told them about the hijacking of United Airlines Flight 175 at 8:43. So, now NORAD knows about two hijackings – and American Airlines Flight 11 has been barreling down on New York City since turning south at 8:26, and is just 3 minutes away from impacting the WTC. What does NORAD do with this new information? Do they immediately scramble the 102nd Fighter Wing of the Otis Air National Guard Base in Falmouth, Massachusetts? Again, no they don’t, they sit on this most vital information of now two hijacked airliners. Stand Down. NORAD, by their own account, held on to the most vital information of American Airlines Flight 11 hijacking for at least 6 minutes before ordering Otis to scramble. NORAD, by their own account, held on to the most vital information of United Airlines Flight 175 hijacking for at least 3 minutes before ordering Otis to scramble. NORAD may have held on to the vital information of American Airlines Flight 11 for perhaps 8 minutes, maybe 10 minutes (see 8:36 a.m. statement by NORAD spokesman, Major Mike Snyder), possibly up to 26 minutes (see 8:20 a.m. American Airlines Flight 11 transponder signal stopped transmitting its IFF beacon signal) and let us not forget that the last voice transmission of American Airlines Flight 11 with Boston air traffic control occurred at 8:13:31, so maybe NORAD had over 32 minutes before they notified Otis to scramble their two F-15’s. How could NORAD possibly hold on to the 8:40 information of the American Airlines Flight 11 hijacking, and not immediately scrambled Otis? How could NORAD possibly hold on to the 8:43 information of the United Airlines Flight 175 hijacking, and not have immediately scrambled Otis? How could NORAD, by their own account, hold on to the most vital information of both of these hijackings for three and six full minutes, before notifying Otis to scramble? Stand Down. Knowing that New York City and Washington D.C. are far and away the top two cities in the United States that would be targeted by terrorists, don’t you think we would have also ordered Langley AFB to scramble at 8:46 a.m. to protect Washington D.C.? NORAD says they actually waited till 9:24 a.m. to order Langley AFB to scramble. Thirty-eight minutes went by before anyone bothers to order fighters to scramble to protect Washington D.C.? No way. This is the big time Smoking Gun Stand Down. 8:46:26 a.m.: American Airlines Flight 11 impacts the north side of the North Tower (1 World Trade Center) of the WTC between the 94th and 98th floors. American Airlines Flight 11 was flying at a speed of 490 miles per hour (MPH). When American Airlines Flight 11 struck the North Tower, “it set up vibrations which were transmitted through the building, through its foundation, and into the ground,” says Lerner-Lam. Those vibrations, as indicated by seismographs at Lamont-Doherty and other locations, were the equivalent of a magnitude 0.9 earthquake, one too small to be felt. 8:46 a.m.: United Airlines Flight 175 transponder signal stops transmitting IFF beacon signal. 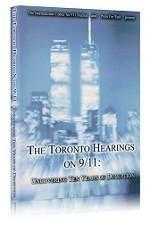 8:47 a.m.: The FAA informed NORAD of American Airlines Flight 11 striking the World Trade Center. NORAD says it doesn’t tell the two F-15 pilots now scrambling to take-off from Otis that American Airlines Flight 11 has hit the WTC until 8:57. Why not? Especially when there is another hijacked airliner, United Airlines Flight 175, so close to New York City — and at 8:49 it turns and heads straight on for New York City? 8:47 a.m.: NYC Fire Battalion Chief Joe Pfeiffer from the 7th Battalion puts out an emergency call stating that American Airlines Flight 11 impacting the north side of the North Tower (1 World Trade Center) was no accident. The plane’s impact was clearly a deliberate attack an intentional act of mass death and devastation. As the small video crew (who shot the only video of American Airlines Flight 11 impacting the WTC – the fireman video) and firemen that had eye-witnessed the first plane hit the WTC were racing to the location, Chief Pfeiffer sounded red alerts over the radio and phone; specifically stating that what they witnessed was a “direct attack” and that the airliner was clearly being directed straight at the WTC and the incident was definitely not any kind of accident. 8:48 a.m.: The first news reports appear on TV and radio that a plane may have crashed into the WTC. 8:49 a.m.: United Airlines Flight 175 now deviates from its assigned flight path. 8:50:51 a.m.: American Airlines Flight 77 last radio communication, about 285 miles west of the Pentagon. 8:52 a.m.: Two F-15 Eagles have scrambled and are airborne from the 102nd Fighter Wing of Otis Air National Guard Base in Falmouth, Massachusetts. An F-15 has a top speed of 1875+ MPH. Otis is 153 miles (according to The New York Times) eastnortheast of the WTC. They are airborne within 6 minutes of their 8:46 scramble orders. Good job. So, 38 minutes after American Airlines Flight 11 has been hijacked we finally have fighters in the air. But they still don’t know American Airlines Flight 11 has crashed into the WTC or that United Airlines Flight 175 has turned and has been heading straight toward New York City now for 3 minutes. Why not? Stand Down. 8:55 a.m.: Barbara Olson, a passenger on American Airlines Flight 77, calls her husband, Solicitor General Theodore Olson at the Justice Department. He is watching the WTC news on TV. She tells him, ”they had box cutters and knives. They rounded up the passengers at the back of the plane.” She asks him, “What should I tell the pilot to do?” She gets cuts off; he calls the Justice Department’s command center to alert them of the hijacking. She calls back and says the plane is turning around. She appears to have been the only person on American Airlines Flight 77 to call someone on the ground. Why is she the only person who calls from American Airlines Flight 77? 8:56 a.m.: American Airlines Flight 77 transponder signal stops. 8:56 a.m.: American Airlines Flight 77 goes off course and starts making a 180 degree turn over southern Ohio / northeastern Kentucky. 8:57 a.m. The FAA formally notified the military that American Airlines Flight 11 crashed into the WTC. Until then, the two F-15’s fighters from Otis did not know the plane had crashed — Yet at 8:47 a.m. NORAD had been notified. Why does it take over 10 minutes to inform the two F-15 pilots of this? Do the two F-15 pilots know United Airlines Flight 175 has changed course, and for the last eight minutes has been heading directly for New York City? Stand Down. 8:59 a.m.: American Airlines Flight 77 completes its 180 degree turn over southern Ohio / northeastern Kentucky and starts heading directly back to Washington D.C. and The Pentagon, 330 miles away. 9:00 a.m.: United Airlines systems operations transmitted a system wide message, warning its pilots of a potential “cockpit intrusion”. United Airlines Flight 93, flying over Pennsylvania replies “Confirmed”. 9:00 a.m.: Last radar reading on United Airlines Flight 175 is observed at an altitude of 18,000 feet, descending, with a ground speed of 480 knots. 9:00 a.m. The FAA starts contacting all airliners to warn them of the hijacking. 9:00 a.m.: The Pentagon moves its alert status up one notch from normal to Alpha. It stays on Alpha until after American Airlines Flight 77 hits the Pentagon. 9:01 a.m.: Bush later makes the following statement. “And I was sitting outside the classroom waiting to go in, and I saw an airplane hit the tower — the TV was obviously on, and I used to fly myself, and I said, ‘There’s one terrible pilot.’ And I said, ‘It must have been a horrible accident.’ But I was whisked off from there — I didn’t have much time to think about it.” Bush could not have possibly seen the first plane (American Airlines Flight 11) hit the WTC, because the only video showing this was not shown on television till later in the day. So how could he have possibly seen and said this? 9:02:54 a.m.: United Airlines Flight 175 impacts the south side of the South Tower of the WTC between the 78th and 84th floors at a speed of over 500 MPH. Parts of the plane including an engine leave the building from its north side, to be found on the ground up to six blocks away. When United Airlines Flight 175 struck the South Tower, “it set up vibrations which were transmitted through the building, through its foundation, and into the ground,” says Lerner-Lam. Those vibrations, as indicated by seismographs at Lamont-Doherty and other locations, were the equivalent of a magnitude 0.7 earthquake. NORAD says that when United Airlines Flight 175 impacts the WTC at 9:02:54, the two F-15’s from Otis are still 71 miles away. This means their average flight speed was only 23.9% of their top speed in trying to intercept United Airlines Flight 175. Otis is 153 miles from WTC. F-15’s have a top speed of 1875+ MPH. Minus 71 miles left from 153 miles equals 82 miles covered in the 11 minutes from 8:52 take-off to 9:03. Sixty minutes divided by 11 minutes equals 5.45, times this by the 82 miles covered, equals 447.3 MPH. divided by 1875 MPH equals 23.9% of their top speed. How could these two F-15’s possibly be going less than one quarter of their top speed in trying to intercept United Airlines Flight 175? How? Stand Down. Perhaps if they flew a little faster than 23.9% of their top speed is how. The F-15 pilots flew ”like a scalded ape,” topping 500 MPH but were unable to catch up to the airliner [United Airliners Flight 175], Maj. Gen. Paul Weaver said. Now the only airliner left in the sky with its IFF transponder signal off — has just made a 180 degree turn over southern Ohio / northeastern Kentucky and has been heading directly back to Washington D.C. and The Pentagon since 8:59 a.m. — is American Airlines Flight 77. Why didn’t these two F-15’s that were 71 miles from NYC and the WTC, immediately redirect to intercept the only dangerous airliner now in the sky, American Airlines Flight 77? These two F-15’s had 34 minutes to reach Washington D.C. before American Airlines Flight 77 hits the Pentagon at 9:37 a.m. The mission of these two F-15’s from the 102nd Fighter Wing of the Otis Air National Guard Base is to protect the skies from Washington D.C. to the north. The F-15 has a top speed of 1875+ MPH, so they could have closed the 300 or so miles from their current position to Washington D.C. in just about 11 minutes. At top speed they could have been at the Pentagon 23 minutes before American Airlines Flight 77 hits it. Even if they were flying at the same speed NORAD says that they covered in the last 71 miles till they reach the WTC (532.5 MPH or only 28.4% of top speed) they would have beaten American Airlines Flight 77 to the Pentagon. Why didn’t these two F-15’s directly fly to intercept the only known airliner still in the sky that is hijacked, and heading directly for the nations capitol? Still, much worse, why didn’t these two F-15’s upon reaching the WTC at 9:11 and now knowing that American Airlines Flight 77 has been heading dead on for Washington D.C. for 12 minutes, finally try to intercept? The WTC is about 250 miles from the Pentagon. They still have 26 minutes to intercept American Airlines Flight 77 before the Pentagon gets hit at 9:37. All they have to do is to fly only 576.9 MPH or 30.8% of their top speed to beat American Airlines Flight 77 to the Pentagon. What do we pay these guys to do? Still, unbelievably worse, these two F-15’s could have waited in New York City till 9:26 before heading down to protect Washington D.C. and the Pentagon. By 9:26 American Airlines Flight 77 has now been heading directly back to Washington D.C. for 27 minutes, it is the only airliner in the sky with its transponder signal off, and has been off course for 30 minutes. If these F-15’s were flying at top speed, they could be at the Pentagon in less than 10 minutes. They can leave New York City at 9:26 and still beat American Airlines Flight 77 to the Pentagon by one minute. Why didn’t these F-15’s leave at any time between 9:03 and 9:26 to intercept American Airlines Flight 77, the only airliner in the sky with its transponder signal off, and also off course and heading straight do Washington D.C.? Why, NORAD? Stand Down. There is a very interesting video of what looks like a possible F-15 streaking by the WTC just as United Airlines Flight 175 impacts the South Tower of the WTC. Why isn’t anyone talking about this video? 9:03 a.m.: Boston air traffic control center halts traffic from its airports to all New York area airspace. 9:05 a.m.: Andrew Card walks up to Bush while he is listening to a Goat Story with 16 second graders in Sandra Kay Daniels’s class at Emma E. Booker Elementary School in Sarasota, Florida. Card whispers in his ear “A second plane has hit the World Trade Center. America is under attack.” Bush (commander-and-chief?) keeps listening to this Goat Story with these children for at least 7 minutes, and perhaps as long as 18 minutes. Why he didn’t excuse himself from these children right away, and immediately address this national emergency, is totally illogical and unexplainable. There is no way this should have happened. What of course should have happened, was as soon as the secret service found out about United Airlines Flight 175 impacting the WTC (now knowing it was a “terrorist” act), they would have immediatly grabbed Bush and brought him to an undisclosed location. There is no way the secret service leaves Bush in a place (Emma E. Booker Elementary School) where everyone knows he is. Stand Down. 9:05 a.m.: West Virginia flight control notices a new eastbound plane entering their radar with no radio contact and no transponder identification. They are not sure if it is American Airlines Flight 77. Supposedly they wait another 19 minutes before notifying NORAD about it. Why hasn’t NORAD scrambled any fighters to protect Washington D.C. by 9:05? How could they not have? Two airliners have already hit the WTC. Nine minutes ago the transponder on American Airlines Flight 77 was shut off and it made a 180 degree turn and has been heading directly for Washington D.C. for 6 minutes. Perhaps now would be a good time to remember that New York City and Washington D.C. are far and away the top two cities in the United States that would be targeted by terrorists. Why hasn’t NORAD scrambled any fighters to protect Washington D.C. by 9:05? Stand Down. 9:06 a.m.: Order to halt traffic is expanded to include the entire northeast from Washington to Cleveland. FAA’s air traffic control center outside Washington D.C. notifies all air traffic facilities nationwide of the suspected hijacking of American Airlines Flight 11. 9:06 a.m.: The FAA formally notified the military that United Airlines Flight 175 had been hijacked. 9:08 a.m.: FAA orders all aircraft to leave New York area airspace and orders all New York-bound planes nationwide to stay on the ground. 9:10 a.m. to 9:20 a.m.: United Airlines Flight 93 was hijacked. 9:11 a.m.: The two F-15 Eagles from Otis Air National Guard station in Falmouth; Massachusetts finally make it to NYC and the WTC. So, it takes these two F-15’s, which have a top speed of 1875+ MPH, 19 minutes to cover the 153 miles from Otis to the WTC. This means their average flight speed from Otis to the WTC was only 483.2 MPH or just 25.8% of their top speed. A little math exposes these window dressing fighters for what they are. Thank you NORAD for your September 18, 20001 Press Release. Stand Down. 9:12 a.m.: The FAA formally notified the military that United Airlines Flight 175 had crashed into the WTC. 9:15 a.m.: American Airlines orders no new takeoffs in the United States. 9:16 a.m. to 9:20: The FAA notifies NORAD that United Airlines Flight 93 has been hijacked. (Reported as 9:20 a.m. in the Pittsburgh Post-Gazette) No fighters are scrambled in specific response, now or later. There is the possibility the fighters sent after American Airlines Flight 77 later headed towards United Airlines Flight 93. NORAD’s own timeline inexplicably fails to say when the FAA told them about the hijack. This is the only flight NORAD fails to provide this data for. Why? Stand Down. 9:20 a.m.: United Airlines orders no new takeoffs in the United States. 9:21 a.m.: New York City Port Authority orders all bridges and tunnels in the New York City area closed. 9:22 a.m.: A sonic boom occurs, which was picked up by an earthquake monitor in southern Pennsylvania, 60 miles away from Shanksville. This was most likely caused by a fighter jet breaking the sound barrier. 9:23 a.m.: Bush talks privately with Cheney, his National Security Adviser Condoleezza Rice, the head of the FBI, Robert Mueller and Governor George Pataki of New York. Why does Bush wait from 9:05 (when Card tells him of United Airlines Flight 175 hitting the WTC) till 9:23 to finally call? He still does not give the authority to the fighters to shoot down any hostile airliners (fighters do not need his OK to intercept – that should have of course happen automatically [but didn’t — or it was IGNORAD ] – his orders are only needed to shoot down a commercial airliner). What is he waiting for? 9:24 a.m.: The FAA notifies NORAD that American Airlines Flight 77 has been hijacked. The FAA lost contact with American Airlines Flight 77 when the transponder signal stops at 8:56 a.m. — Why does it take 28 minutes for the FAA to tell NORAD that American Airlines Flight 77 has been hijacked? Impossible. Stand Down. 9:24 a.m.: NORAD orders the 1st Fighter Wing from Langley Air Force Base in Hampton, Virginia to scramble two, possibly three F-16 fighters. This time NORAD does not sit on this vital information for six minutes (or more) before notifying Langley AFB (like they did before they scrambled Otis). Langley is 130 miles south of Washington D.C. and the Pentagon. The F-16 has a top speed of 1500 MPH. Why wasn’t Langley AFB scrambled at 8:20 or 8:40 or 8:46:26 or at the very least at 9:02:54? How could NORAD possibly have waited the 21 minutes from the time United Airlines Flight 175 hits the South Tower of the WTC at 9:02:54 before finally scrambling Langley at 9:24? Waiting these 21 extra minutes to finally scramble Langley is the real smoking gun Stand Down that no one can get around. Inconceivably, Andrews Air Force Base, with its two fighters wings only about 11 miles from the Pentagon never got off the ground, till after everything was over. They must have been told to Stand Down. This Stand Down that happened at Andrews AFB is the same thing that happened with the at least 35 Air Stations that were easily within distance to protect us of all of these hijackings. They were all told to Stand Down. 9:25 a.m.: Air traffic controllers inform the United States Secret Service that American Airlines Flight 77 is approaching Washington D.C.
9:26 a.m.: The FAA halts takeoffs nationwide. All airborne international flights are told to land in Canada. 9:26 a.m.: American Airlines Flight 77 – Passenger, Barbara K. Olson again calls her husband, Solicitor General Theodore Olson at the Justice Department to tell him about the hijacking and to report that the passengers and pilots were held in the back of the plane. Again she is the only person who makes a call from American Airlines Flight 77. Isn’t it very strange that is she the only person to call, not once but twice? 9:28 a.m.: United Airlines Flight 93, “there are the first audible signs of problems, in background cockpit noise.” Air traffic controllers hear the sound of screaming and scuffling over an open mike. They then hear hijackers speaking in Arabic to each other. Yet this is at least 8 minutes and maybe 12 minutes after the hijackers had taken over the cockpit and done something to cause the FAA to notify NORAD of United Airlines Flight 93’s hijacking. 9:30 a.m.: Two, possibly three F-16 Fighting Falcons code-named Huntress take off from Langley AFB headed at first toward at NYC. A couple of minutes into their mission, according to General Haugen “A person came on the radio and identified themselves as being with the Secret Service” and said, “I want you to protect the White House at all costs.” The F-16’s laid in a new course and vectored to Washington D.C. Since both Washington D.C. and New York City are both north of Langley, and this happened within a couple of minutes of take-off, this was not a factor in why these F-16 fighters were flying so slow. Why were these fighters headed to NYC when American Airlines Flight 77 has been headed directly for Washington D.C. for the last 31 minutes, and with their communication and transponder turned off for 34 minutes? There are no airliners headed for NYC or anywhere else with their communication and transponders turned off. Also, at 9:25 air traffic controllers have already informed the United States Secret Service in Washington D.C. that American Airlines Flight 77 is approaching them very fast. So why are these F-16’s first flying toward NYC? Stand Down. 9:30 a m.: Bush, speaking to the nation from Emma E. Booker Elementary School in Sarasota, Florida, says the country has suffered an “apparent terrorist attack” and “a national tragedy.” He would chase down, “those folks who committed this act.” Bush also said, “Terrorism against our nation will not stand.” It was an echo of “This will not stand,” the words his father, George H. W. Bush, had used a few days after Iraq invaded Kuwait in August 1990-in Bush’s opinion, one of his father’s finest moments. Also, during this address to the country Bush promised a full investigation into the attack. Well here we are 16 months later, after everything Bush could possibly do to stop an investigation, and we are finally getting a so-called 911 investigation. That Henry Kissinger and George Mitchell quit as chair and vice chair is very interesting. Of course, having appointed killer Kissinger to lead the 911 investigation in the first place was like saying, welcome to the Twilight Zone. Did Kissinger quit because some of his clients were about to be exposed and tried by him? A little conflict of interest Henry? This address to the country should have been said at least 15 to 20 minutes earlier. But of course he had much more important business to attend to, he was listening to the Goat Story with the 16 second graders from 9:05 till at least 9:12 and possibly as long as 9:23. Bush speaking to the country from Emma E. Booker Elementary School. 9:32 a.m.: Secret Service agents burst into Cheney’s White House office. They carry him under his arms — nearly lifting him off the ground — and take him to the security of the underground bunker in the White House basement. What took them so long? 9:32 a.m.: The New York Stock Exchange closed. 9:33 a.m.: According to The New York Times, American Airlines Flight 77 was lost at 8:56 when it turned off its transponder, and stayed lost until now. Washington air traffic control sees a fast moving blip on their radar at this time and sends a warning to Dulles Airport in Washington. Is it conceivable that an airplane could be lost inside United States air space for 37 minutes? Stand Down. 9:35 a.m.: United Airlines Flight 93 goes off course near Cleveland, Ohio where it makes a 135 degree turn, and is now headed to the southeast. United Airlines Flight 93 is 375 miles from Newark, New Jersey and 280 miles from where it was now headed, Washington D.C.
9:35 a.m.: American Airlines begins landing all of its flights inside the United States. 9:36 a.m.: Ronald Reagan Washington National Airport instructs a military C130 aircraft that had just departed Andrews Air Force base to try to identify American Airlines Flight 77. The C130 reports it is a 767 and it is moving low and very fast. At 9:37 NORAD says the F-16’s from Langley were still 105 miles and 12 minutes away. Incredibly, this means their average flight speed was only 14.3% of their top speed in trying to intercept United Airlines Flight 175 before it hits the Pentagon. If these F-16’s flew at top speed, they would have been there just after 9:37. Langley is 130 miles from the Pentagon. F-16’s have a top speed of 1500 MPH. Minus 105 miles left from 130 miles equals 25 miles covered in the 7 minutes from 9:30 take-off to 9:37. 60 minutes divided by 7 minutes equals 8.57, times this by the 25 miles covered, equals 214.3 MPH. divided by 1500 MPH equals 14.3% of their top speed. How could these two F-15’s possibly be going one seventh of their top speed in trying to intercept American Airlines Flight 77? Even the story about first flying to NYC does not account for this unbelievably slow speed because they got the message to redirect to Washington D.C. within a couple of minutes of take-off, and NYC and Washington D.C. are almost exactly the same direction (north) from Langley. Stand Down. Three more of the 7 air stations on full alert were within range of Washington D.C. Tyndall AFB in Panama City, Florida is 800 miles from Washington D.C., from the time they scramble and flying at top speed, they could have reached Washington D.C. in 35 to 40 minutes. Homestead ARB in Homestead, Florida is 1000 miles from Washington D.C. from the time they scramble and flying at top speed, they could have reached Washington D.C. in 45 to 50 minutes. Ellington ANG in Houston, Texas is 1250 miles from Washington D.C. from the time they scramble and flying at top speed, they could have reached Washington D.C. in 55 to 60 minutes. Remember at 8:40 the FAA notifies NORAD that American Airlines Flight 11 has been hijacked and at 8:43 a.m. the FAA notifies NORAD that United Airlines Flight 175 has been hijacked. So at 8:43 a full 54 minutes before American Airlines Flight 77 hits the Pentagon, NORAD admits to knowing about these two airlines being hijacked. With a 54 minute start — besides of course Otis ANG who were already in the air (at 8:52) and Langley AFB fighters (finally ordered to scramble at 9:24 – airborne at 9:30), both Tyndall AFB and Homestead ARB fighters could have beaten American Airlines Flight 77 to the Pentagon and Ellington ANG fighters had an outside chance. Of course both air stations in Florida, Tyndall AFB and Homestead ARB, should have been sent to protect Air Force One in Sarasota — but incredibly they weren’t sent there either. At 8:56 the transponder on American Airlines Flight 77 stops sending the IFF beacon. This is 41 minutes before it hits the Pentagon. Again besides of course Otis ANG and Langley AFB fighters, if ordered to scramble at 8:56 Tyndall AFB fighters could have still beaten American Airlines Flight 77 to the Pentagon. Stand Down. 9:38 a.m.: United Airlines Flight 93 completes its 135 degree turn and is headed directly towards Washington D.C.
9:40 a.m.: United Airlines Flight 93 transponder signal stops. 9:40 a.m.: Transportation Secretary Norman Y. Mineta, summoned by the White House to the bunker, was on an open line to the Federal Aviation Administration operations center, monitoring Flight 77 as it hurtled toward Washington, with radar tracks coming every seven seconds. Reports came that the plane was 50 miles out, 30 miles out, 10 miles out-until word reached the bunker that there had been an explosion at the Pentagon. Mineta shouted into the phone to Monte Belger at the FAA: “Monte, bring all the planes down.” It was an unprecedented order — there were 4,546 airplanes in the air at the time. Belger, the FAA’s acting deputy administrator, amended Mineta’s directive to take into account the authority vested in airline pilots. “We’re bringing them down per pilot discretion,” Belger told the secretary. 97) 9:45 a.m.: Bush’s motorcade leaves the Emma E. Booker Elementary School in Sarasota, Florida headed for Air Force One at the Sarasota-Bradenton International Airport. 9:45 a.m. to 9:48 a.m.: The Capitol and the White House are evacuated. 9:47 a.m.: Commanders worldwide were ordered to raise their threat alert status four notches to “Delta”, the highest level, to defend United States facilities. Secretary of Defense Donald Rumsfeld raised the defense condition signaling of the United States offensive readiness-to DefCon 3, the highest it had been since the Arab-Israeli war in 1973. United States officials also sent a message to the Russians, who were planning a military exercise not far from Alaska, urging them to rethink their plans. 9:49 a.m.: The F-16’s from Langley AFB finally arrive over Washington, D.C. to perform Combat Air Patrol over the city. It takes these F-16’s 19 minutes to reach Washington D.C. from Langley AFB which is about 130 miles to the south. If these F-16’s were flying at top speed it should have taken them just over 7 minutes to reach the Pentagon. They should have been there at about the same time the Pentagon is hit by American Airlines Flight 77, at 9:37. By arriving in Washington D.C. at 9:49, that would mean these F-16’s average flight speed was only 410.5 MPH. This means their average flight speed was only 27.4% of their top speed in trying to protect our nations capital. Langley AFB is 130 miles from the Pentagon and F-16’s have a top speed of 1500 MPH. 60 minutes divided by 19 minutes = 3.16 x 130 miles = 410.5 MPH divided by 1500 MPH = 27.4%. These F-16’s took-off at 9:30, this is 43 minutes after American Airlines 11 impacts the North Tower of the WTC and 27 minutes after United Airlines Flight 175 slams into the South Tower of the WTC. Knowing this, these F-16’s fly at only 14.3% (overall 27.4%) of their top speed in trying to intercept American Airlines Flight 77 and protect our nations capital, Washington D.C. How could that possibly be? Why were all of these ultra-sophisticated fighter jets averaging flight speeds only one quarter of their top speed when sent to intercept hostile aircraft and protect New York City and our nation’s Capital, Washington D.C.? What exactly is the purpose of these fighter jets being able to go 1875+ MPH and 1500 MPH, yet when the United States is being attacked and needs them the most they are only somehow capable of doing one quarter of their top speed? Stand Down. The United States Air Force is the most technologically advanced, and the most dominate military force ever known to man, and yet we didn’t have any other fighters on routine patrols or training missions anywhere within 1000 miles of New York City or Washington D. C. that morning? I have talked to a few people in the Air Force, and this is totally impossible. There are always fighters up on routine patrols or training missions. So where were they? And lastly, why didn’t the Air Force follow procedure and immediately scramble to monitor any of these 4 flights like they did for the late great golfer Payne Stewart when his Lear jet went off course? This is not Oshkosh, Wisconsin we are talking about protecting here, it is New York City and the Capital of the United States, Washington D.C., and its air defenses were left total unguarded for one hour and twenty-three minutes (from 8:14 to 9:37) (or one hour and thirty-five minutes — F-15 arrived in DC at 9:49) by the same country who have the greatest air superiority by far ever known. What type of a preposterous wag of the NORAD tale is this? Both of these groups of fighters, the F-15’s out of Otis, and the F-16’s out of Langley were put in the air merely as window dressing. To make the public actually think they were valiantly trying to intercept these 4 hijacked planes. There is only one explanation for this — our Air Force was ordered to Stand Down on 911. 9:55 a.m.: Bush arrives at the Sarasota-Bradenton International Airport and boards Air Force One. 9:55 a.m.: Inside his White House bunker, a military aide asks Cheney, “There is a plane 80 miles out. There is a fighter in the area. Should we engage?” Cheney immediately says, “Yes.” As the fighter gets nearer to United Airlines Flight 93, he is asked the same thing twice more, and responds yes both times. 9:58 a.m.: A frantic male passenger onboard United Airlines Flight 93 called the 911 emergency number, he told the operator, named Glen Cramer, that he had locked himself inside one of the toilets. Cramer told the AP, in a report that was widely broadcast on September 11th, that the passenger had spoken for one minute. “We’re being hijacked, we’re being hijacked!” the man screamed into his mobile phone. “We confirmed that with him several times,” Cramer said, “and we asked him to repeat what he said. He was very distraught. He said he believed the plane was going down. He did hear some sort of an explosion and saw white smoke coming from the plane, but he didn’t know where. And then we lost contact with him.” This was the last cell phone call made from any passengers on any of the hijacked planes. 9:59 a.m.: Air Force One Departs Sarasota-Bradenton International Airport, Sarasota, Florida bound for Washington D.C. Air Force One departed with no extra military protection. This is totally impossible. Two of the 7 military air stations we had on full alert to protect the continental United States that day were based in Florida. Homestead Air Reserve Base in Homestead is 185 miles and the Tyndall Air Force Base in Panama City is 235 miles from Sarasota and Air Force One. These two air stations should have been ordered to scramble their fighters at 8:20 or 8:40 or 8:43 or 8:46:26 or 9:02:54 or 9:24 or at the very least at 9:37. From the time these two Air stations should have been scrambled and flying at top speed, both of these air stations fighters could have been in Sarasota within 16 to 18 minutes to protect Air Force One. Even if both Air stations waited on the ground with their 4 fighters till the Pentagon gets hit at 9:37, all 4 fighters could have scrambled and been at Sarasota 4 to 6 minutes before Air Force One takes-off at 9:59. Where were the fighters from both of these air stations? Did both of these air stations have something better to do that day than protect Air Force One? Please, this just does not happen. Why is no one else in the world is asking this question? Stand Down. Also, is the place to be in the air when there are still a couple of thousand airliners in the air deviating from their normal flight plans to land, and who knew then how many of them were hostile or not? 9:59:04 a.m.: The south tower of the World Trade Center suddenly collapses, plummeting into the streets below. A massive cloud of dust and debris quickly fills lower Manhattan. It is later explained that the collapse was not directly caused by the impact, but the intense heat caused by the fire fueled by the jet’s fuel weakening the steel support beams of the concrete floors. The WTC towers were built to withstand a 707 being flown into them. A 767 carries almost the same amount of fuel as a 707. Seismographs at Columbia University’s Lamont-Doherty Earth Observatory in Palisades, New York, 21 miles north of the WTC, recorded very interesting seismic activity on September 11, 2001 that has still not been explained. The Palisades seismic record shows that — as the collapses began — a huge seismic “spikes” marked the moment the greatest energy went into the ground. The strongest jolts were both registered at the beginning of the collapses, well before the falling debris struck the earth. These unexplained “spikes” in the seismic data tends to lend credence to the theory that perhaps a massive explosion(s) in the lowest level of the basements where the supporting steel columns of the WTC met the bedrock caused the collapses. Also, the collapses of the south tower at 9:59:04 took only 10 seconds while the collapse of the north tower at 10:28:31 took only 9 seconds, this is only slightly more than a free fall from the same height, indicating that there was very little resistance. Yet the floors themselves are quite robust, each one is 39″ thick; the top 4″ is a poured concrete slab, with interlocking vertical steel trusses underneath. This steel would absorb a lot of kinetic energy by crumpling as one floor fell onto another. So how did both of the towers fall so quickly? 10:00 a.m.: Bill Wright is flying a small plane when an air traffic controller asks him to look around outside his window. He sees United Airlines Flight 93 three miles away – close enough to see the United Airlines colors. Air traffic control asks him the plane’s altitude, and then commands him to get away from the plane and land immediately. Wright saw the plan rock back and forth three or four times before he flew from the area. He speculates that the hijackers were trying to throw off the attacking passengers. 10:00 a.m.: The NRC tells all nuclear power stations to go to the highest level of alert. 10:01 a.m.: The FAA orders F-16 fighters to scramble from Toledo, Ohio. Although the base has no fighters on stand-by alert status, it manages to put fighters in the air 16 minutes later, a “phenomenal” response time – but still 11 minutes after the last hijacked plane has crashed. One interesting aspect is that NORAD has explained that it didn’t scramble fighters from bases nearer to the hijacked planes because they only used bases in the NORAD defensive network (Seven bases were on fully armed alert covering the continental United States). Yet this Toledo base wasn’t part of that network, so why weren’t planes in this base and other bases scrambled an hour or more earlier? Could it be that they were scrambled earlier, and that it was one of these F-16’s that tailed Flight 93? While it hasn’t been reported in the media yet, note this recent claim by a seismologist that there was a sonic boom in Western Pennsylvania at 9:22. Could that have been a fighter tracking United Airlines Flight 93? 10:02 a.m.: After a review of radar tapes, a radar signal of United Airlines Flight 93 is detected near Shanksville, Pennsylvania. 10:03 a.m.: According to the FBI, the cockpit voice recorder stops and United Airlines Flight 93 crashes near Shanksville, Pennsylvania, in Somerset county, about 80 miles southeast of Pittsburgh. 10:04 a.m.: Johnstown-Cambria County Airport reports United Airlines Flight 93 is 15 miles south. 10:06:05 a.m.: According to seismic data, United Airlines Flight 93 crashes near Shanksville, Pennsylvania, in Somerset county, about 80 miles southeast of Pittsburgh. This is also 124 miles or 15 minutes away at 500 MPH from Washington D.C. An eyewitness reports seeing a white plane resembling a fighter jet circling the site just after the crash. The F-16’s from Langley AFB arrived in Washington D.C at 9:49 a.m. The F-16 has a top speed of 1500 MPH. After the Pentagon gets hit by American Airlines Flight 77 at 9:37, there is only one airliner left in the sky with its transponder signal off, and once again heading directly for Washington D.C., and that is United Airlines Flight 93. Flying at top speed these F-16’s could have intercepted United Airlines Flight 93 within 5 to 8 minutes depending on when they would have left. Why didn’t these F-16’s try to intercept United Airlines Flight 93? How could they not go after the only threat in the sky yet once again? Stand Down. Mark Elsis is the Executive Director of the LOVEARTH ® NETWORK, http://Lovearth.net eMail: [email protected]. Copyright Mark Elis.